This respiratory therapy equipment 7 inch nasal cannula has a tubing system attached to it, that is able to fit practically any patient. 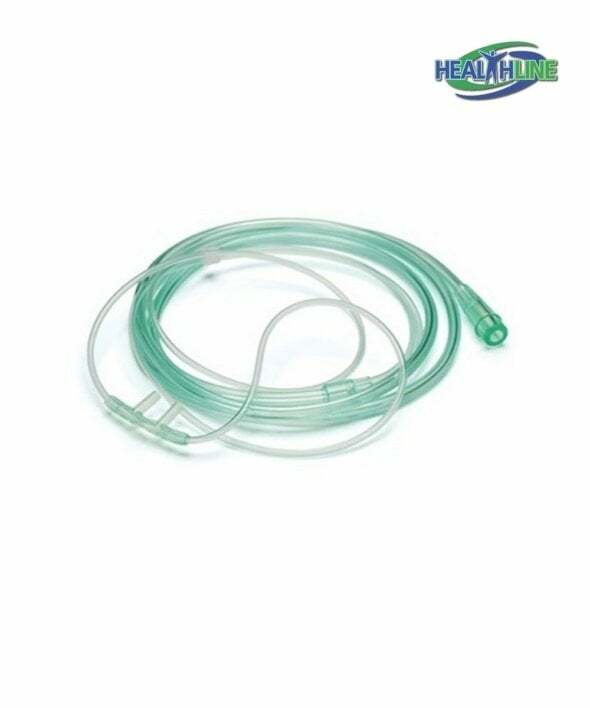 Made of hypoallergenic, latex-free material, this tubing is perfectly suitable for patients that need a temporary or continuous oxygen supply therapy. This is supply of fifty pieces of the product in one case. This package is a very economical solution for a facility that uses nasal cannulas on the regular. Each nasal cannula is proven to be crash resistant and fits comfortably behind the ears. The disposable material of the nasal cannula is extra soft and very flexible. This way a patient can enjoy his full range of motion while still receving the necessary oxygen supply. Tubing will stay firmly in place.